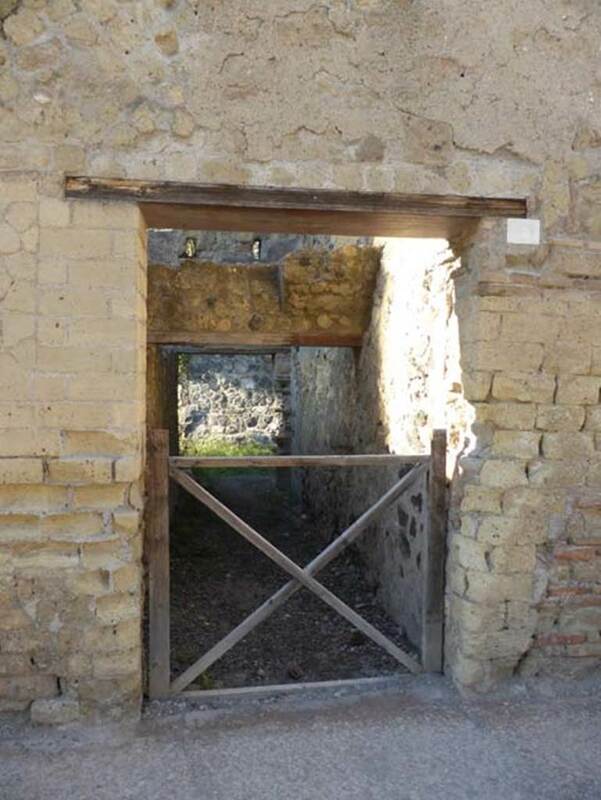 Herculaneum II.5. 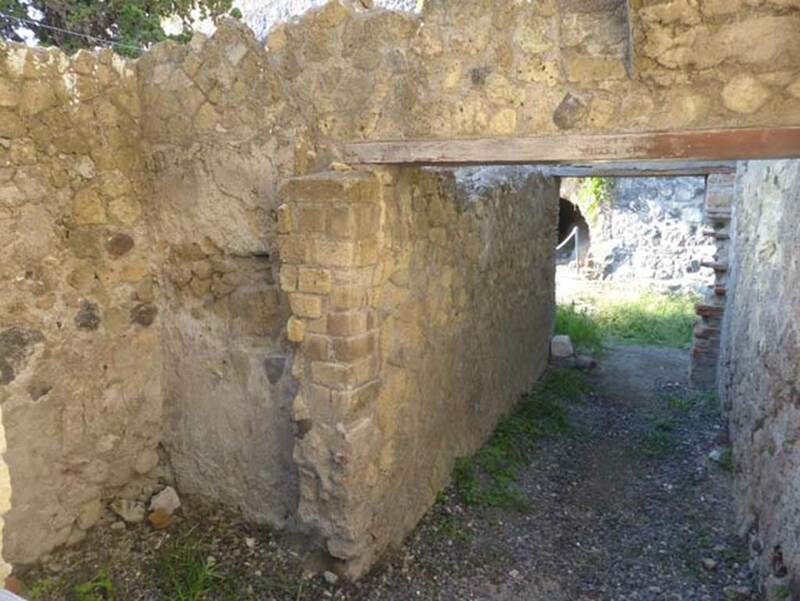 House, possibly linked to shop at II.4, with steps to upper floor at II.8. 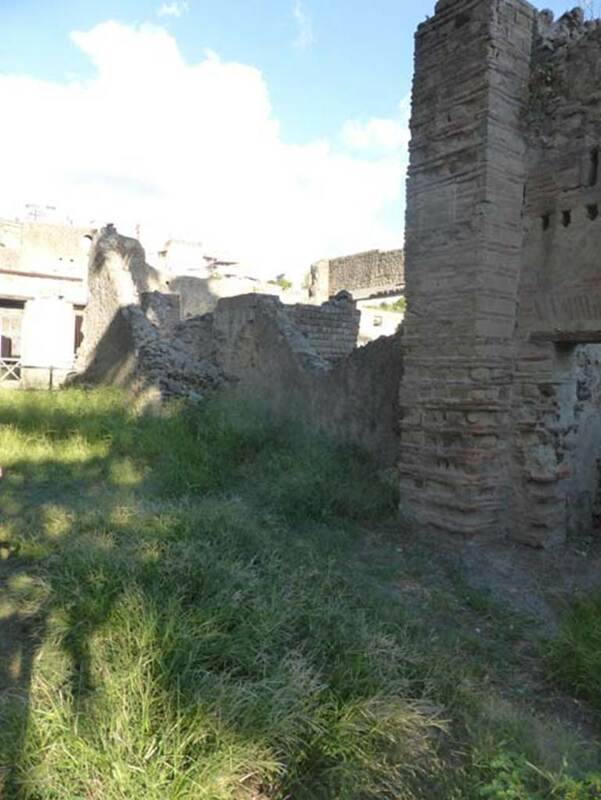 II.5, on right, and II.4, on left, Herculaneum. September 2015. Looking towards entrance doorways. 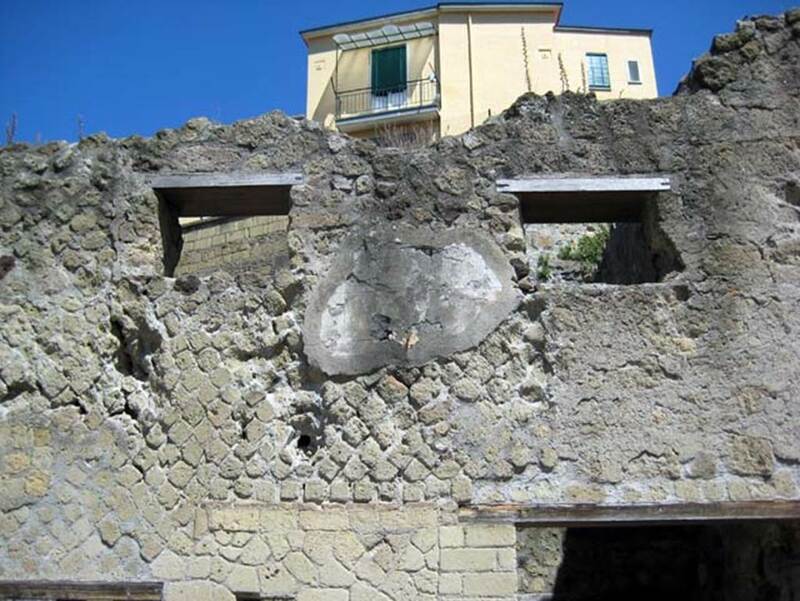 II.5 Herculaneum. June 2011. Looking west towards entrance doorway. 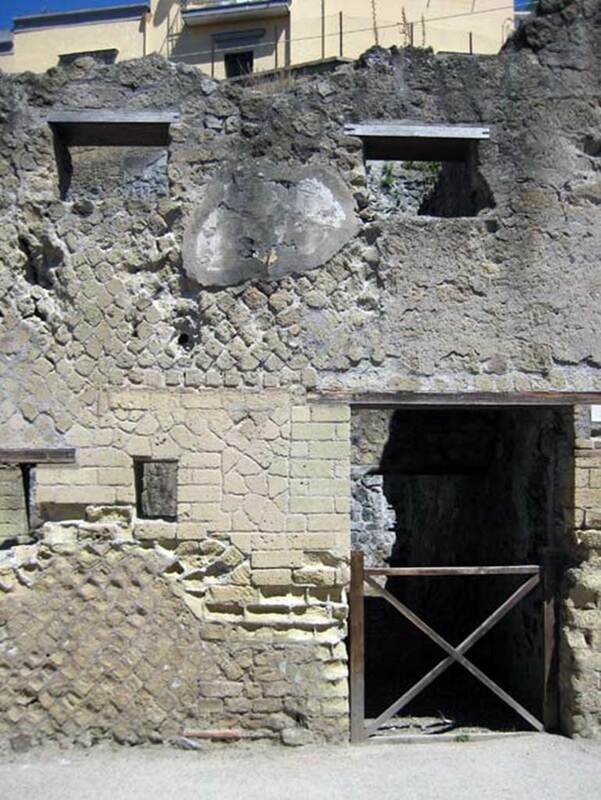 II.5 Herculaneum. June 2011. Exterior upper façade. Photo courtesy of Sera Baker. 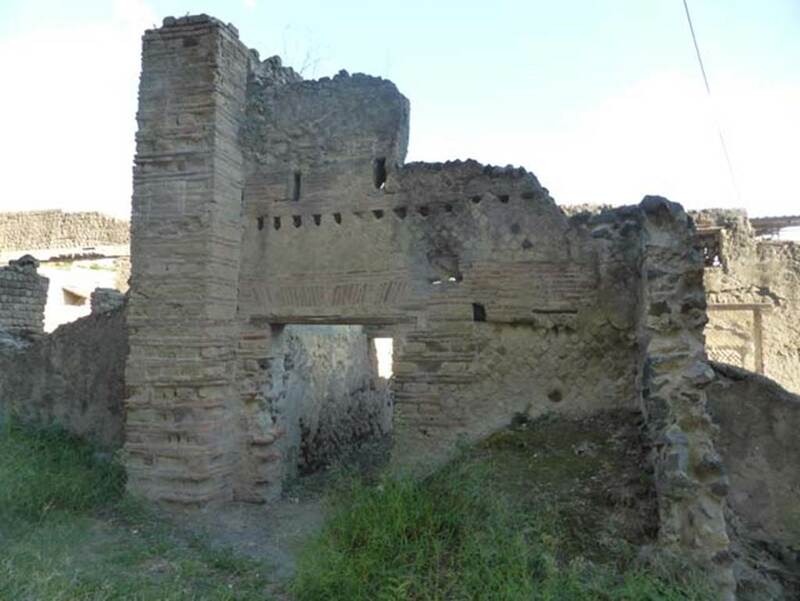 II.5 Herculaneum. June 2011. Detail from upper front façade. Photo courtesy of Sera Baker. 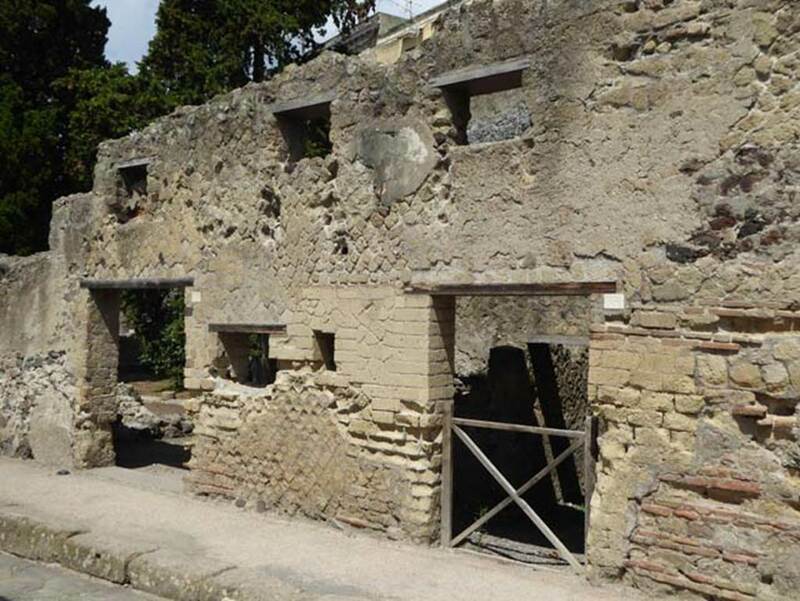 II.5 Herculaneum, September 2015. Entrance doorway. 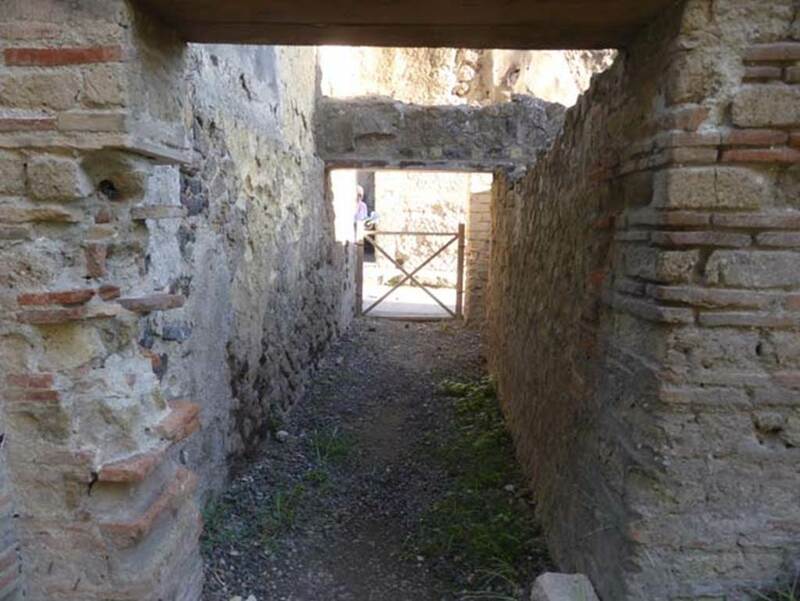 II.5 Herculaneum, September 2015. Entrance corridor, with small area on the south side, on left. Looking west. 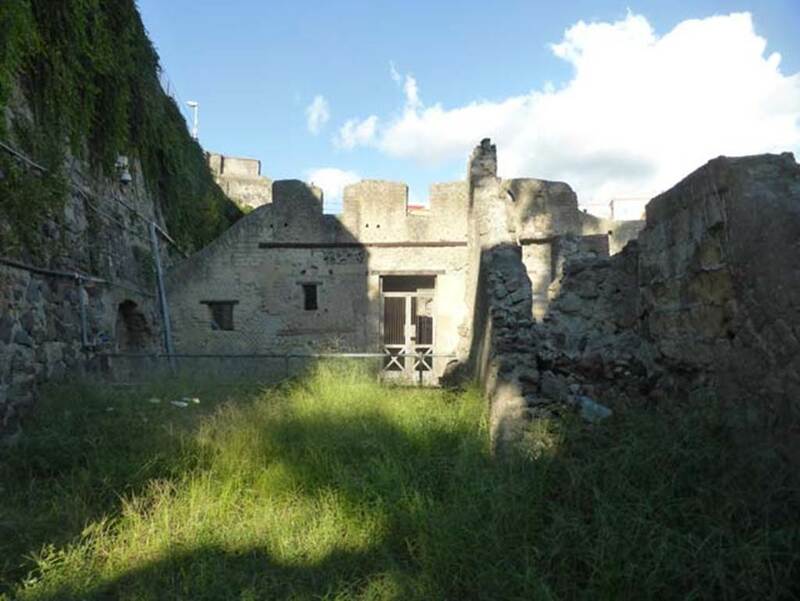 II.5 Herculaneum, September 2015. Looking east in atrium towards entrance corridor. In the upper area, holes for the support beams for the upper floor can be seen. 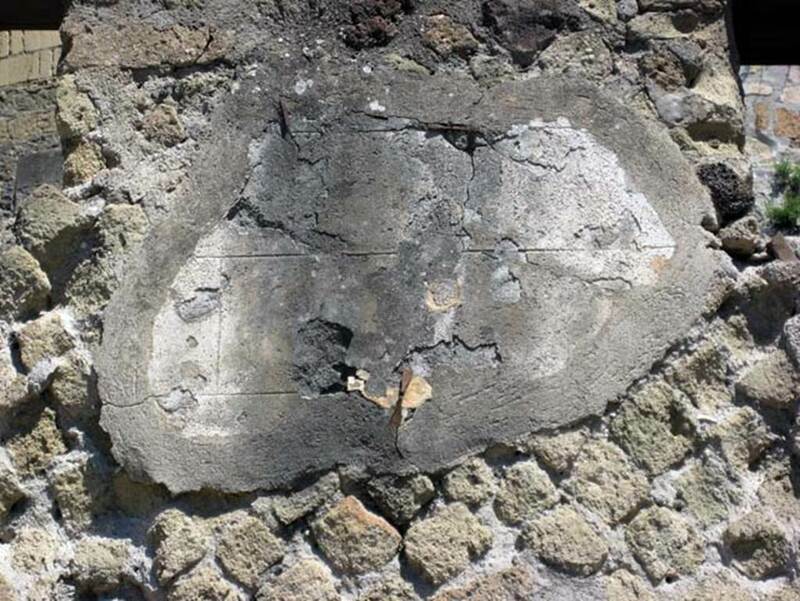 II.5 Herculaneum, September 2015. Looking north-east across area of atrium. II.5 Herculaneum, September 2015. Looking north across atrium. 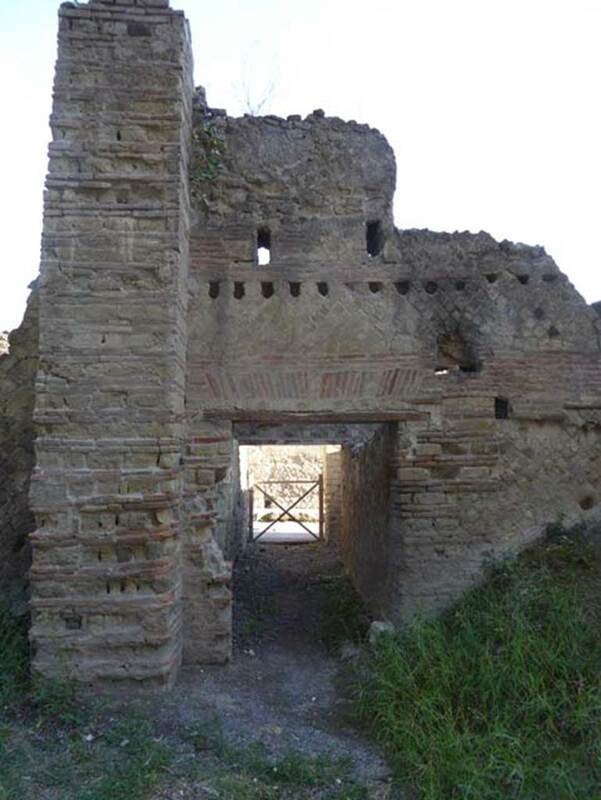 Looking east along entrance corridor towards entrance doorway onto Cardo III Inferiore.